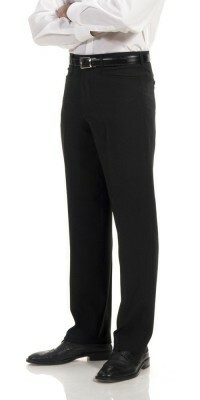 Trousers Men There are 9 products. 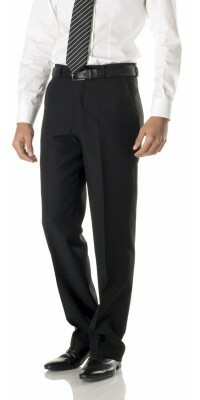 Men's pleated front trousers, model Titaniolining up to the kneeBlack colourImmediately available for delivery: sizes from 44 to 56Made of Gabardine Plus, 100% Pol. 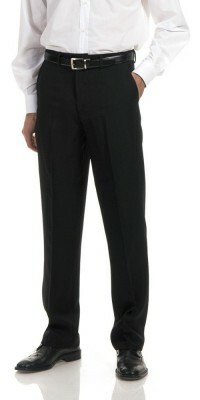 Men's flat front trousers, model Saturno american style pocket, lining up to the knee Black colourImmediately available for delivery: sizes from 44 to 56Made of Gabardine Plus, 100% Pol. 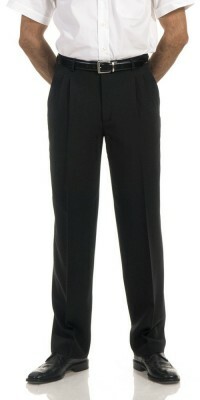 Men's pleated front trousers, model Mercurio Light-weight, for summerBlack colourImmediately available for delivery: sizes from 44 to 56Made of Victory Gabardine, 100% Pol. 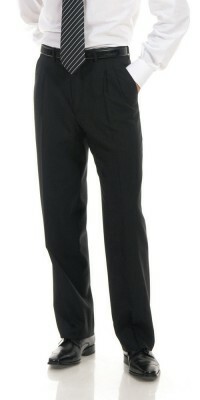 Men's flat front trousers, model Plutone with western style pocketsBlack colourImmediately available for delivery: sizes from 44 to 56Made of Victory Gabardine, 100% Pol. 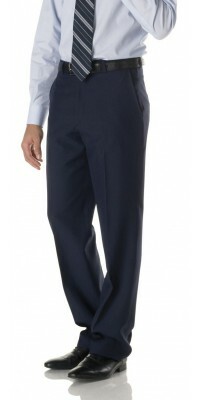 Men's flat front trousers, model Callistoamerican style pockets and lining up to the knee Made of lightweight Gabardine - Marine Blue colourImmediately available for delivery: sizes from 44 to 56Made of Victory Gabardine, 100% Pol. 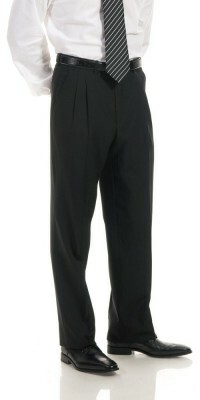 Men's flat front trousers, model Callistoamerican style pockets and lining up to the knee Made of lightweight Gabardine - Black colourImmediately available for delivery: sizes from 44 to 56Made of Victory Gabardine, 100% Pol.